Several Lightsabers were used in the scene and this particular one is shown in closeup insert shots of R2D2. A more aerodynamic and safer plastic one was fired during the next long shot, and Mark Hamill catches a third "Hero" Lightsaber. Note that the chipped edge along the top rim of the Lightsaber used in closeups matches up with this one. Sick of your PVC marshmallow shooter? 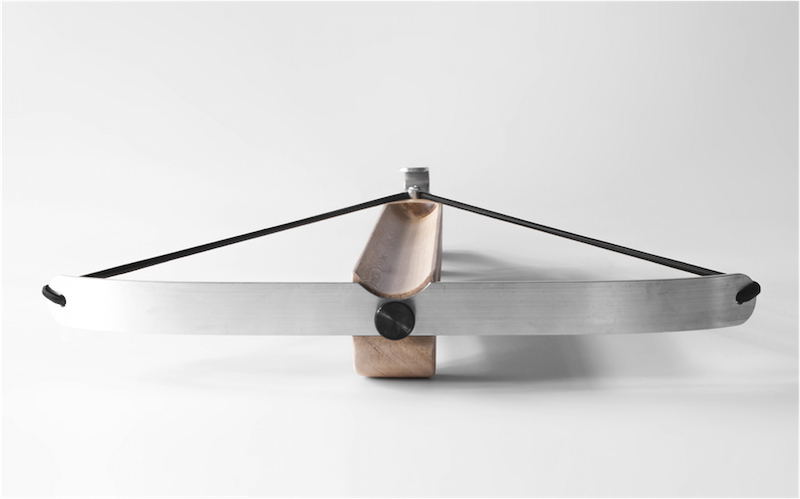 Lichfield offers this handcrafted Marshmallow Crossbow for $90. It's an elegant design and I imagine it would make a delightful DIY project for the right woodtool-wielding maker. To avoid injury, perhaps make sure your ammo isn't stale.